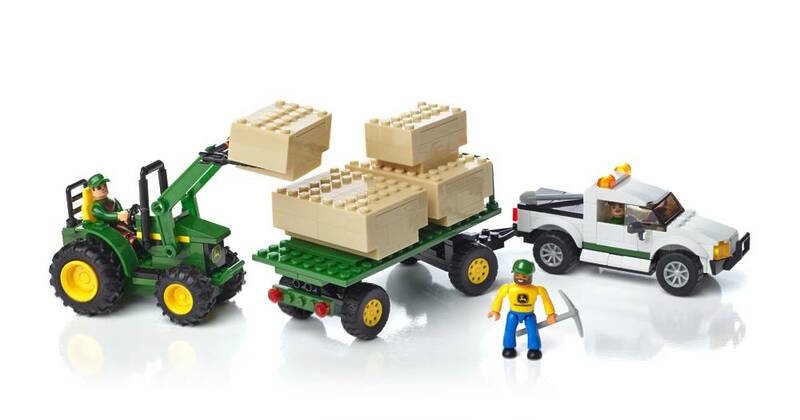 Roll out for the harvest with a buildable John Deere tractor! 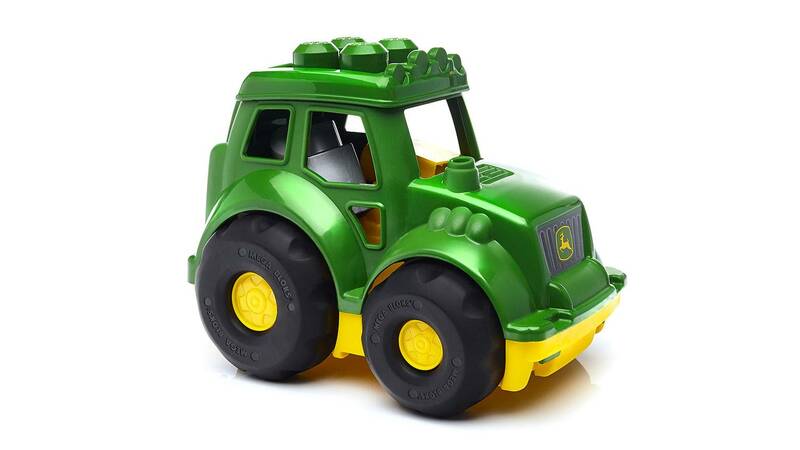 Your little farmer is in for an exciting ride when they take to the fields with this sturdy, rolling John Deere tractor! 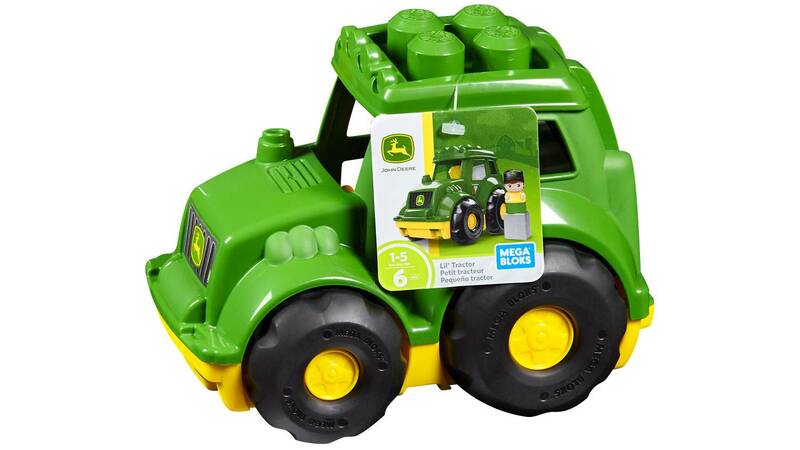 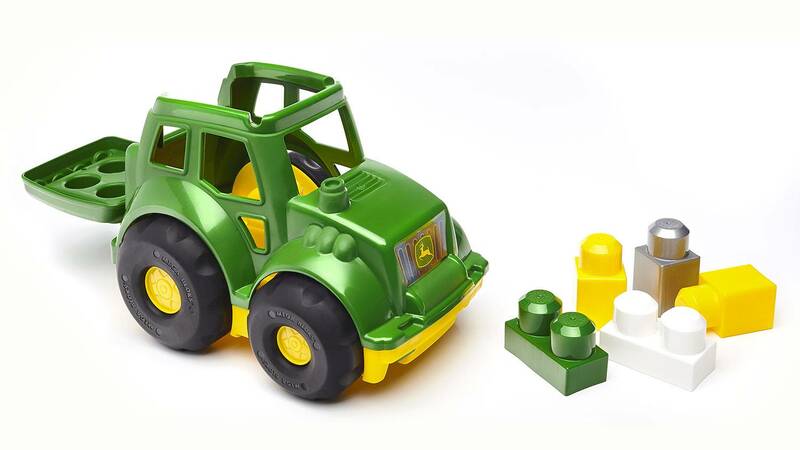 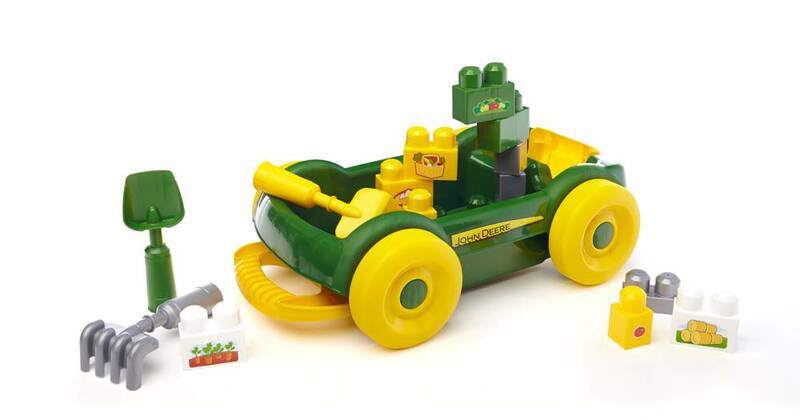 Made just for tots who love to build, this bright green and yellow vehicle features an easy-to-grip design and comes with 6 big building blocks that you can use to build directly onto the tractor’s removable roof. 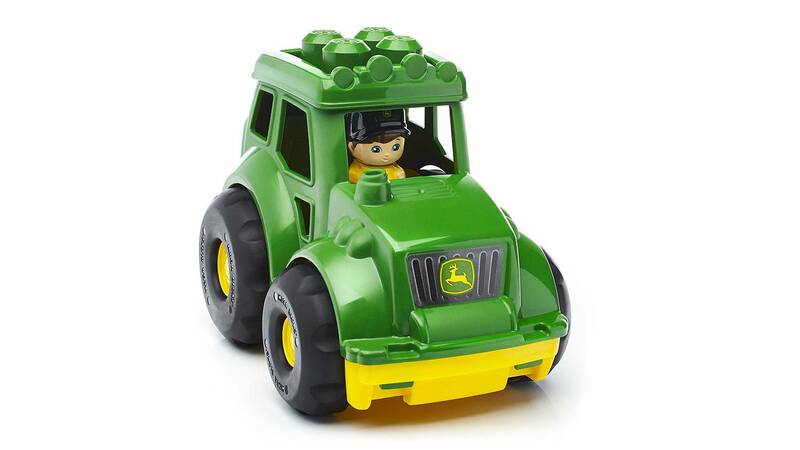 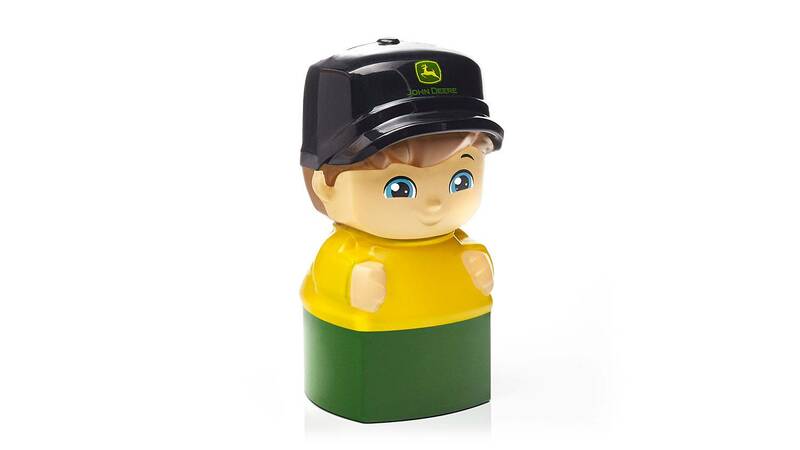 Sit the friendly John Deere-themed Block Buddy™ at the wheel, and head out for a big day on the farm. 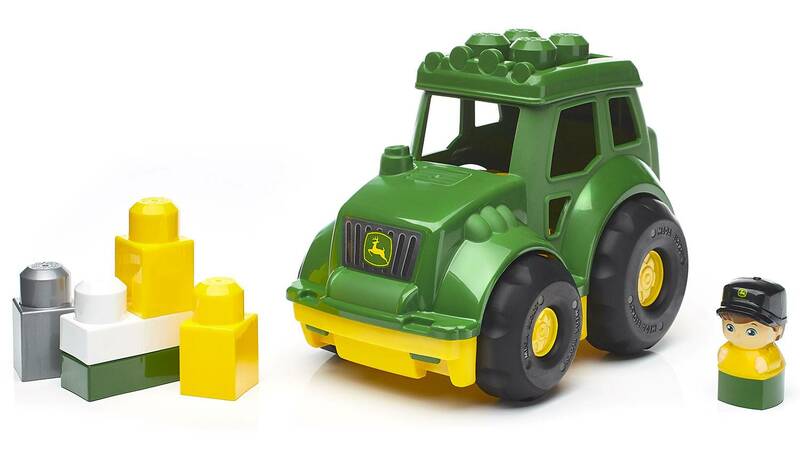 When harvest time is over, store the blocks away inside the vehicle for quick and easy cleanup!